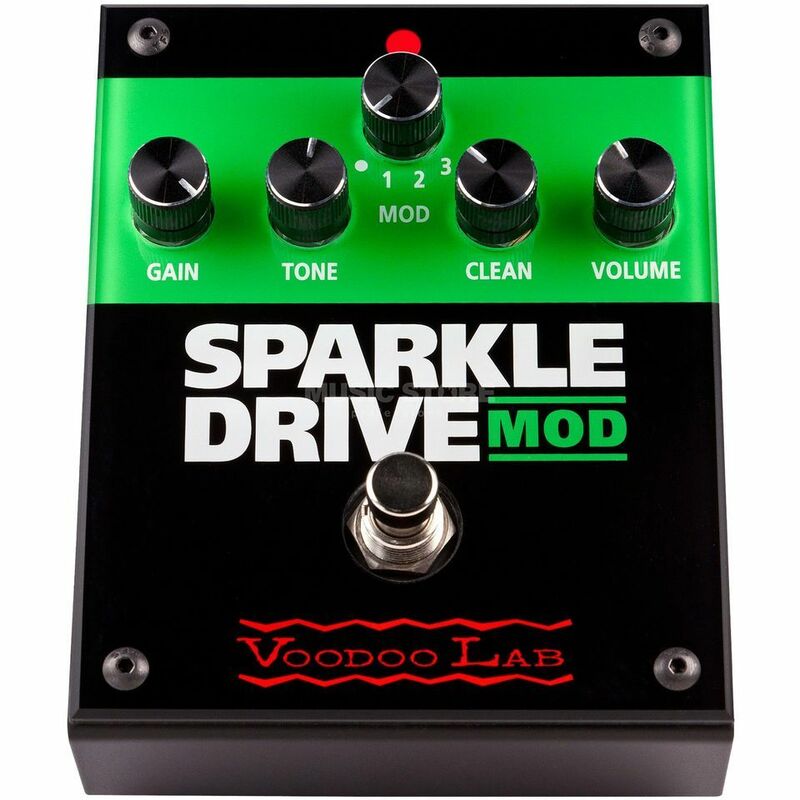 The Voodoo Lab Sparkle Drive Mod Guitar Effects Pedal is a more advanced version of the Voodoo Lab Sparkle Drive pedal, delivering the same options for tone sculpting, but adding a four-stage Mod switch for a selection of custom presets. In its default setting (Vintage) the pedal behaves exactly as the standard Sparkle Drive, using the stock 808-based circuitry to saturate the signal with gain, and blend a boosted clean signal back in with the clean knob. The mod switch has three further settings: Mod 1 (Lead) adds gain as well as a thick low range and smooth highs, designed to emphasize single-note melodies. Mod 2 (Rhythm) is the mid-cut setting, excellent for full-on power chords or funky chops. Mod 3 (High Gain) is more aggressive in the bottom end whilst articulating the high frequencies.